Ria is self-taught versatile artist but her true passion has been play of Cubism in her monochrome subjects. Her dynamic subjects are in rhythm with controlled cubist lines and powerful spirits that seek to burst from the constraints of the cubist shapes. Ria had recently a very successful Solo Show. She has participated in many international exhibitions. 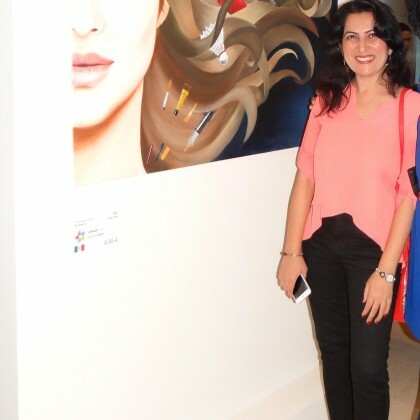 Her work and style Cubism is covered by all leading newspapers of Dubai. She is also featuring artist of International Magazine “Emboss”. Her two works are nominated by Clyde & Co MENA awards 2018. Her work is owned by art lovers around the world. She is also a modern Arabic Calligrapher.